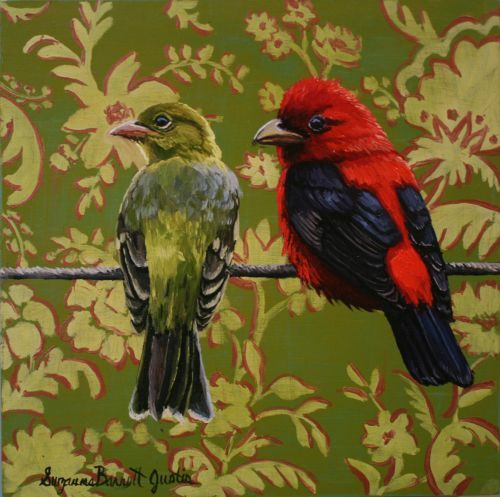 Suzanne Barrett Justis grew up in an artistic environment in upstate New York. 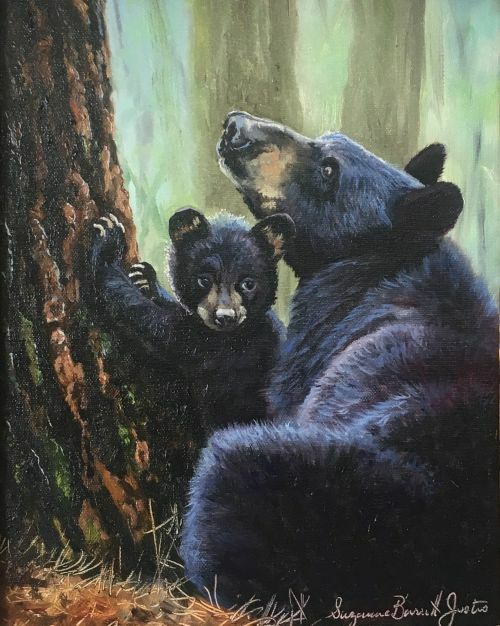 Having a professional artist as a mother definitely influenced Suzanne by exposing her to lots of mediums and opportunities to create art at a very early age. 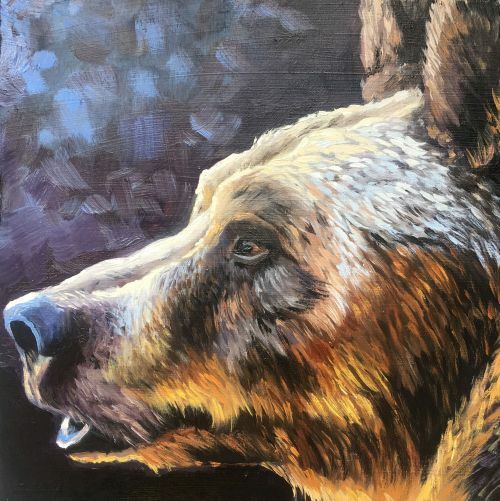 Being primarily an animal artist, Suzanne has also been influenced and inspired by artists such as wildlife artists Robert Bateman and John Kuhn as well as portrait artist John Singer Sargent. 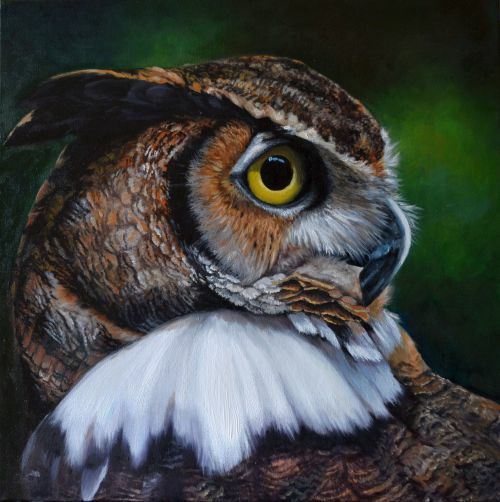 Suzanne paints primarily in oils, but she is also accomplished in acrylic paints as well. 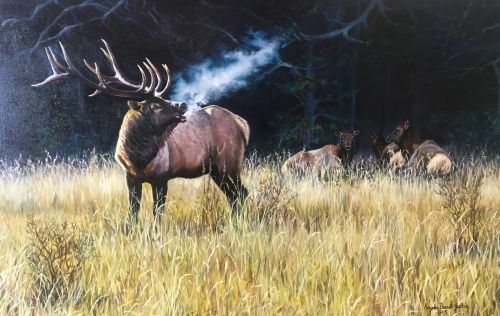 All her studio pieces including her wildlife and portraiture are executed in oils. She saves the acrylic paint for her murals, teaching and carousel work. Suzanne is also an emerging sculptor. Using the lost wax method, Suzanne has had several pieces cast in bronze and continues to work at improving her technique with each new sculpture. 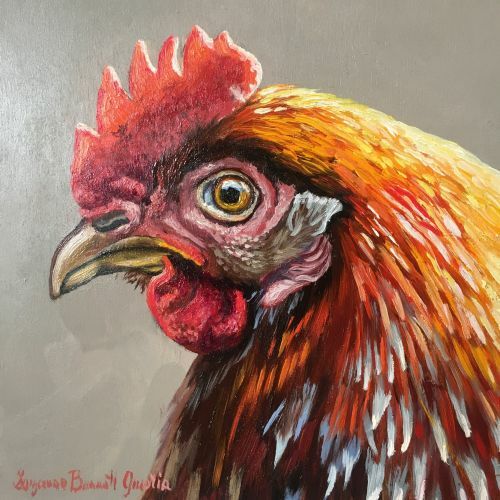 Regardless of what mediums she uses, Suzanne's work remains constant with her attention to detail, her ability to evoke an emotion or tell a story and her understanding of the subject she recreates. 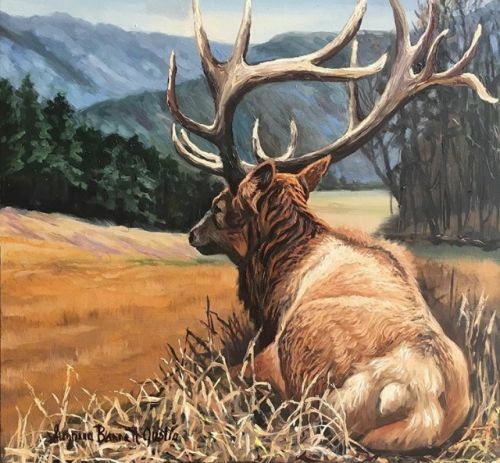 Having a Bachelor of Science degree in Animal Science has served Suzanne well in her ability to capture the essence and nuance of all the animal subjects she paints. 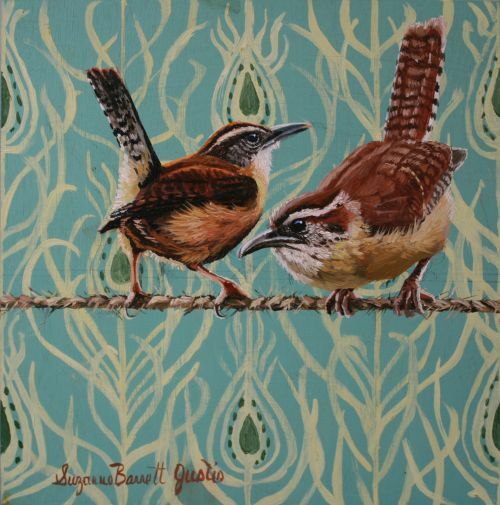 Her understanding of the animal's habitats and mannerisms is quite evident in her works. 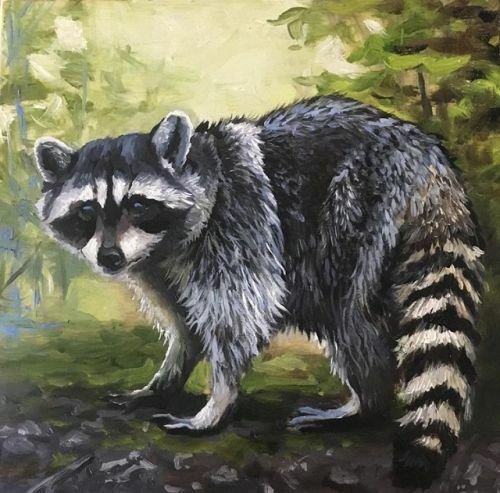 Suzanne continues to learn all she can about the animal world she paints by touring the zoos and animal parks through out the country. Many of her works hang as part of permanent collections in zoos including the Dallas Zoo in TX , the Lincoln Park Zoo on Chicago, IL , the National Zoo in DC, the Bio Park Zoo in Albuquerque, NM, the Nashville Zoo at Grassmere and the Mill Mountain Zoo in Roanoke, VA .
Suzanne is quickly becoming recognized for her portrait and figurative work in the region she lives. She is always seeking the interesting, the striking and unusual for subjects in her work. Her use of dynamic lighting and unusual composition are signatures to her portraits . 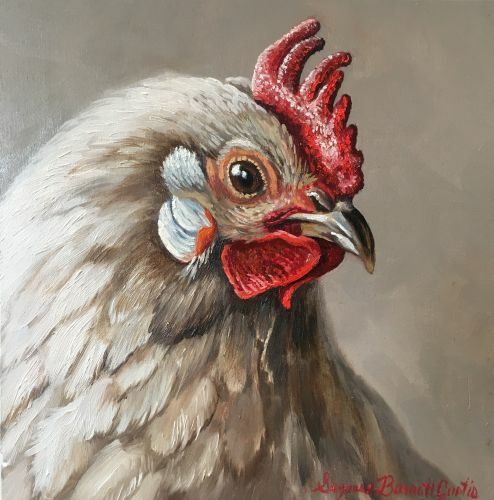 Suzanne lends a comfortable intimacy to her portraits and figurative work and strives for the utmost in accuracy. Artist Sorolla, Sargent and Zorn are all major influences for Suzanne. 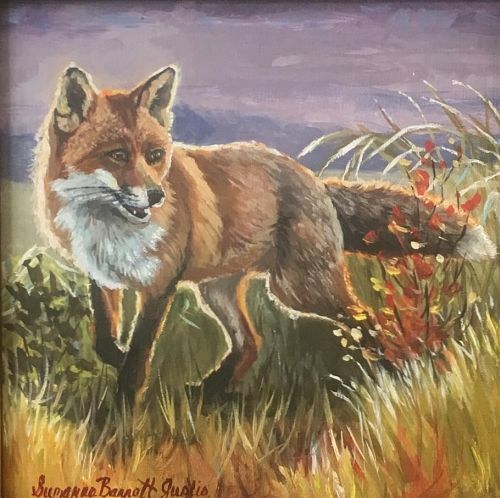 Suzanne Barrett Justis lives with her family in Kingsport, Tennessee where she has her own art gallery and studio downtown. 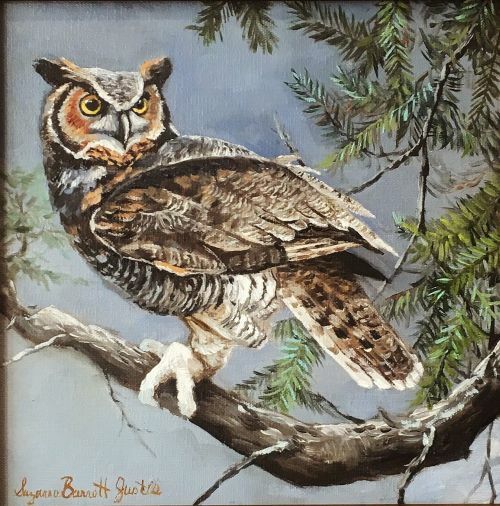 She can be found most days in her studio where she paints and teaches. 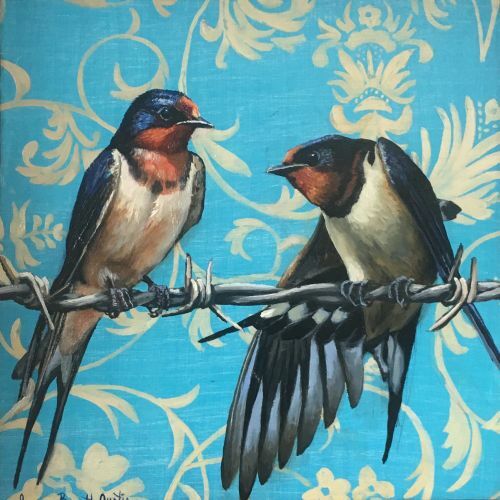 Suzanne has several select students she works with, some of whom have gone on to paint professionally as well. 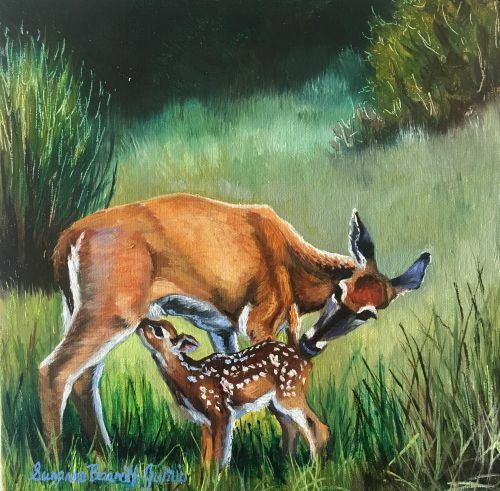 Suzanne is also A lead animal artist for the Kingsport Carousel Project. In this role, Suzanne has taught all the volunteers how to paint the hand carved carousel animals that are featured on this carousel.